Irish Spotlight was produced monthly by the Irish Dominicans and covered topical issues of the day. Despite its similar name it had nothing to do with New Spotlight magazine. 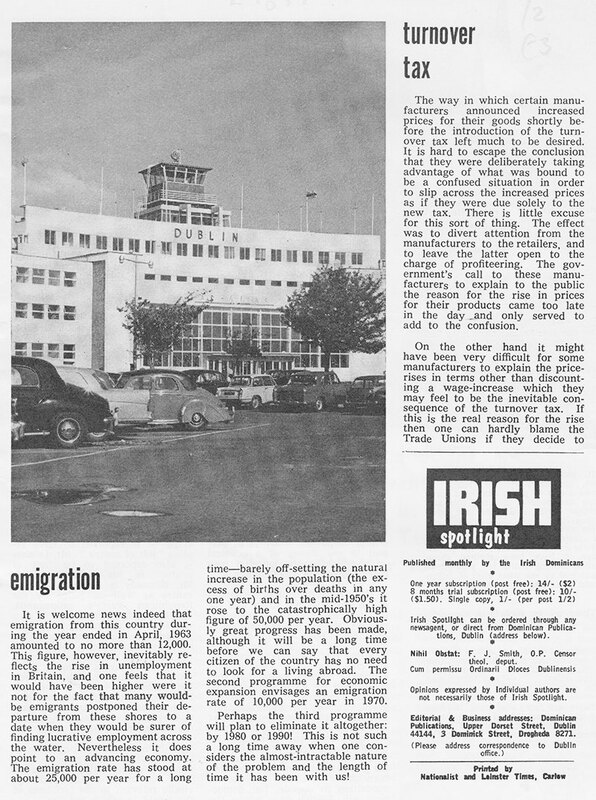 The sample article below from October 1963 discussed the emerging trend of an improving economy in line with a fall in the numbers emigrating. 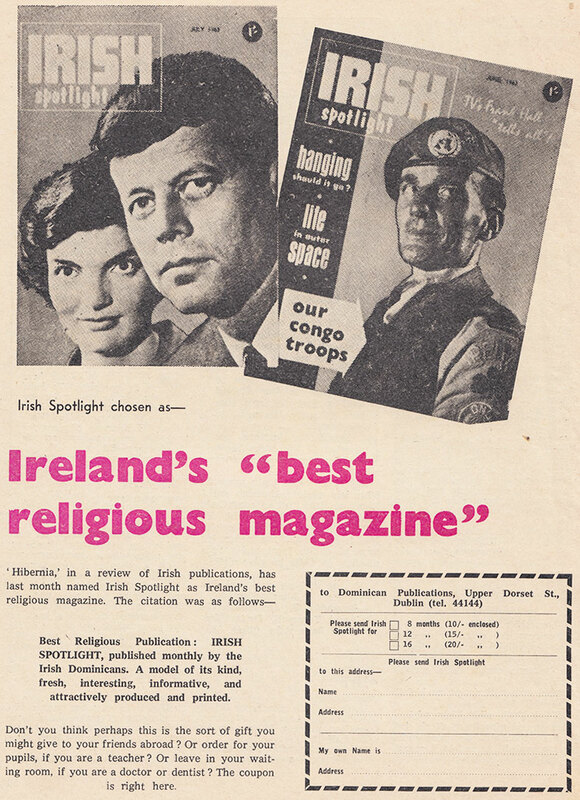 We’ll have more scans from Irish Spotlight, Ireland’s “best religious magazine” in the coming months. it wasn’t cheap…one shilling in 1969.